Hospital provision was inadequate until after 1950. Unless one could afford to pay for treatment, the poor depended on dispensaries and voluntary hospitals which were funded by a variety of subscribers, friendly societies, insurance schemes and supported by the goodwill of the medical profession. In the 1930s there were three types of hospital, nursing homes for the very rich, the voluntary hospitals and the municipal hospitals for the poor. Until the 1940s access to the voluntary hospitals was by referral or recommendation by a doctor. This was only done for the ‘respectable poor’. The National Insurance Act of 1946 provided cover for the workers but not their dependants. Many of these hospitals and out-patient services were poorly funded and lacked specialist doctors. There were still many people dying of infectious diseases and the mortality rate for children under one year was almost 25%. Although the great plagues and smallpox were over by 1850, Kent society suffered from devastating outbreaks of diseases such as measles, whooping cough, cholera and influenza. Outbreaks of cholera tended to be short-lived as by the beginning of the 20th century sanitation had improved and most people had piped water to their homes. Sewerage had also been dealt with by the installation of drains to take away the refuse. Tuberculosis was the most dreaded: the ‘white plague’ as it was known. This regularly killed thousands every year well into the twentieth century until the advent of antibiotics. Although it is not certain how many people in Deal died from the great influenza pandemic of 1918-1919, as it killed at least 50-60 million worldwide, there must have been a fair number affected. There were occasional outbreaks of typhoid. Usually the cause remained a mystery. We realise today the cause was most likely linked to some bad drainage somewhere. There were a fair number of young children dying from measles. Anyone who has done an in-depth study into their family history will discover at least one child who died of this disease. Fortunately with the advent of vaccinations, the great advances in medical science, the National Health Service, we do not have to suffer the deprivations etc that our less fortunate ancestors had to contend with. AUXILLIARY AND V.A.D. (VOLUNTARY AID DETACHMENT) HOSPITALS DURING WW1 AND WW2. Kent V.A.D. which operated throughout the period of World War One set up and ran over eighty auxiliary military hospitals. Private houses, schools, church halls etc were commandeered and most of the staff working in these premises was voluntary. Doctors and trained nurses gave much needed extra time to the many war wounded. Among some of the casualties were hundreds of Canadian and Belgium soldiers evacuated from the battlefields of Flanders. Upper Deal was no exception to the plight of our brave soldiers and allies. Deal. It was one of three large properties built in the grounds of the old Upper Deal. It belonged to a Mrs Elphinstone and was taken over by the commandant of ‘Sholden Lodge’ in late 1916 or early 1917. 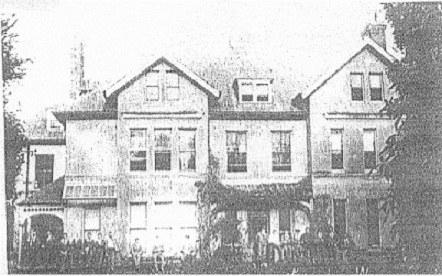 John Laker, in his book on the history of Deal states that The ‘Glack’ was a Canadian Convalescent Home. Patients from Sholden Lodge’ were transferred there when ‘on the mend’. It had 45 beds. As with all other hospitals, supplies of food often became critical during the later war years and there was a reduction of civilian rations. It was decided by the HSO (Hospital Supplies Officer) to reduce the delivery of food from twice a week to only once a week. This was not accepted without a fight! Lady Sargent appealed, complaining, among other things that meat etc would not keep fresh, (no refrigerators then – only meat safes). This had the desired effect and twice weekly rations were restored. The ‘upper classes’ seemed to have a lot more influence in those days! 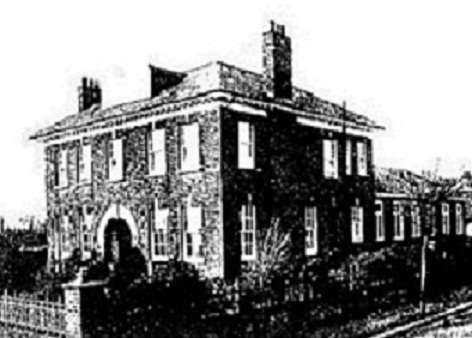 Glack House was also requisitioned by the Army during WW2 and by 1942 members of the 5th battalion The Dorset Regiment were billeted there as well as in the convent school next door (Beach Court). The house was eventually demolished as the grounds were deemed to be of more value than the property itself! This is a neo-Georgian property standing on the corner of London Road and Grange Road. It was opened as an auxiliary war hospital in the early months of WW1. It had been previously ‘Wellington House School’. Mrs Trumper was the matron and Ladies of the V.A.D. undertaking nursing duties. It had 28 beds. It had become well known early in the war due to the arrest of a notorious German spy who had been posing as a wounded Belgian soldier! According to an unknown Belgian author, The Grange had a wonderful reputation regarding the care and kindness to the patients. There was no atmosphere of uniformity. Anyone was permitted to visit anytime. The rooms were airy and the beds comfortable. Patients were encouraged to sing, laugh as well as play cards, write letters etc. This was due mainly to the generosity, understanding and perception of Mrs Trumper who had given up her own residence. She also did a lot of fund raising for various charities. This hospital was closed later than the others, not until the Stand Down in 1919. It is believed she had enough influence with the authorities to have any ‘spare’ patients sent to her establishment. 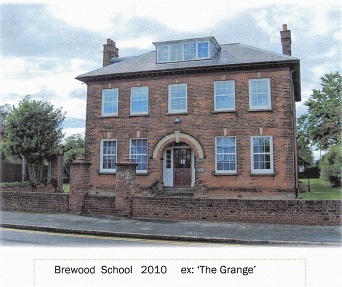 It is now a private secondary school named ‘Brewood School’. By 1914 this school had been extended and re-named ‘Warden House’. The headmaster was Mr Alexander Murray. The school was evacuated prior to being converted into a War Hospital towards the end of WW1. By 1919 the pupils had returned and Mr Murray continued to run it until it was evacuated again in May 1940. It was then occupied by the Army and as an auxiliary fire station for Deal.